I finally got the chance to try out a board game that I’ve been wanting to play for quite some time. Red November is a light-hearted cooperative title that I believe is currently in print by Fantasy Flight Games and is one that bears quite a few similarities to your traditional Co-ops such as Pandemic and Flash Point: Fire Rescue. 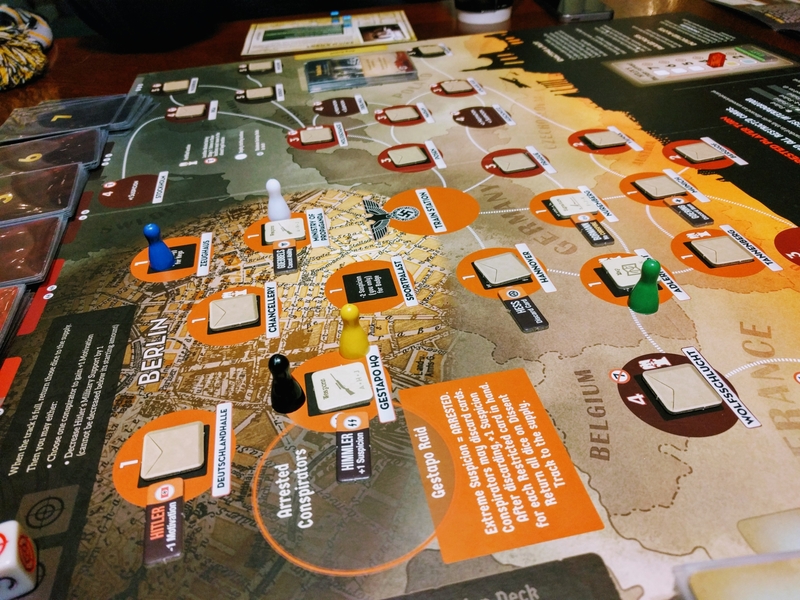 Honestly, this genre is kind of my jam- I reviewed a Black Orchestra a while back on Minis & Meeples, drawing comparisons to Pandemic as well. And even though Pandemic has become a little played out for me, this genre is one that just keeps on giving. 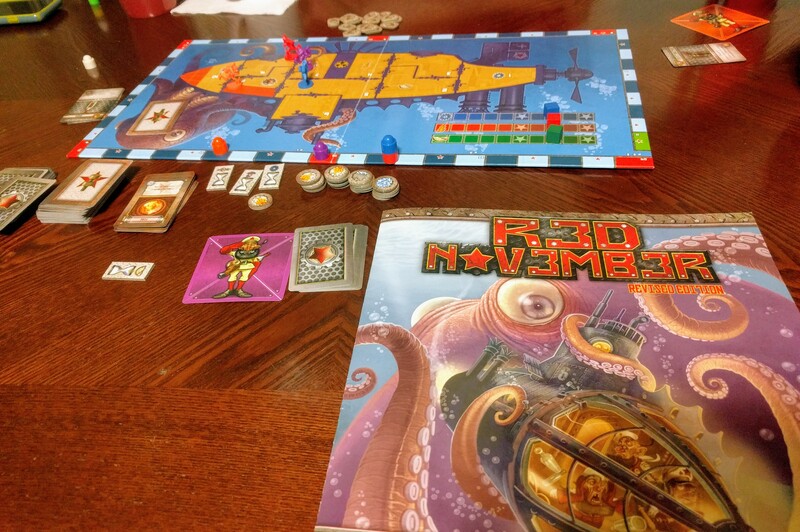 Red November has players taking the role of Gnomes on a failing underwater submarine. Everything just seems to be going wrong: the engines are failing, the reactor core is overheating, and the sub is losing oxygen. Even worse, rooms of the sub will burst into flames or fill with water. I’m definitely has that “whack-a-mole” feel that is ever-present in games if this genre (the viruses in Pandemic or fires in Flash Point), but offers some fun variation. First up is the time track. This is one of my favorite mechanics in modern board games. Essentially, every action takes a certain amount of time, and as players take actions they move along a track. The last and topmost piece on the track is the player who goes next, so there isn’t a set turn order. Next, this game has a high element of Risk/Reward, or Push-Your-Luck. Resolving almost every action has the player rolling a die to see if there action was actually accomplished or if it failed, and since spending more time on an action gives you much better odds of completing the action, there’s always a choice on your turn that at least seems meaningful. Finally, multiple people can win, but not necessarily everyone. The game ends when all players have reached the end on the time track. In our case, all three other characters died before they could do so, but I was able to survive before the ship was completely destroyed. However, a player can also abandon the submarine if they have the Aqualung card and in that case, if everyone else dies, the player who abandoned the submarine is the winner. If even one of the remaining gnomes on the submarine lives, the fleeing gnome looses. So here are my final thoughts- I really liked it! It’s far from a perfect game. Like I said, in our game I was the sole survivor and ended up winning the game, but I didn’t really feel like I had done anything to win the game. I couldn’t point to any one, strategic decision that I made that helped me to “win,” but I was able to survive before the sub was destroyed and so in that sense it felt more like a group victory. Something else that I wanted to comment on- the components of Red November, while totally worth the $30 MSRP, are not all that impressive. 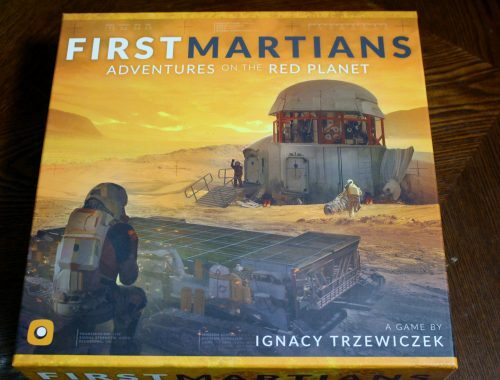 I don’t know that the game play justifies a bigger $60 release with nicer components without some extra additions, such as included expansions, etc. Regardless, Red November is a fun, stressful, chaotic and hilarious coop, that fits a specific role few other cooperative games satisfy. I would definitely play it again and I’m thinking about picking up my own copy someday. Check it out! 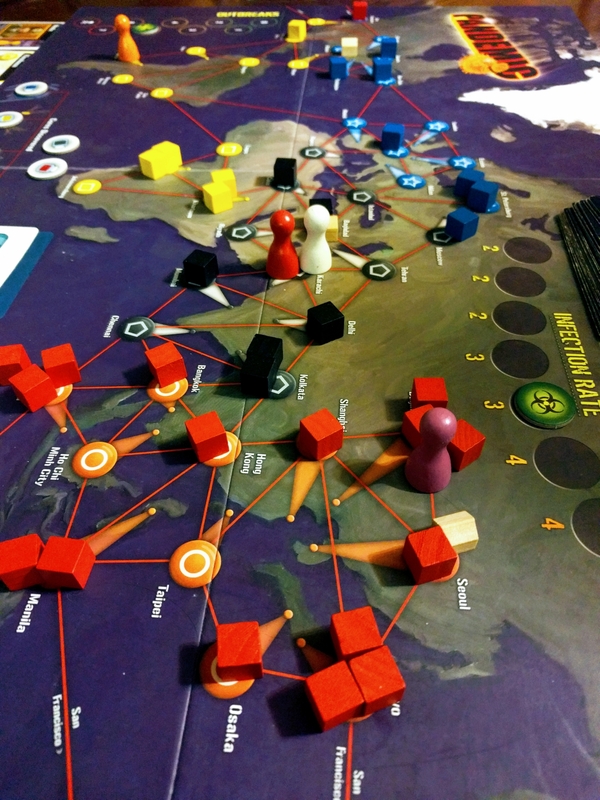 Is Pandemic still the King of Cooperatives?